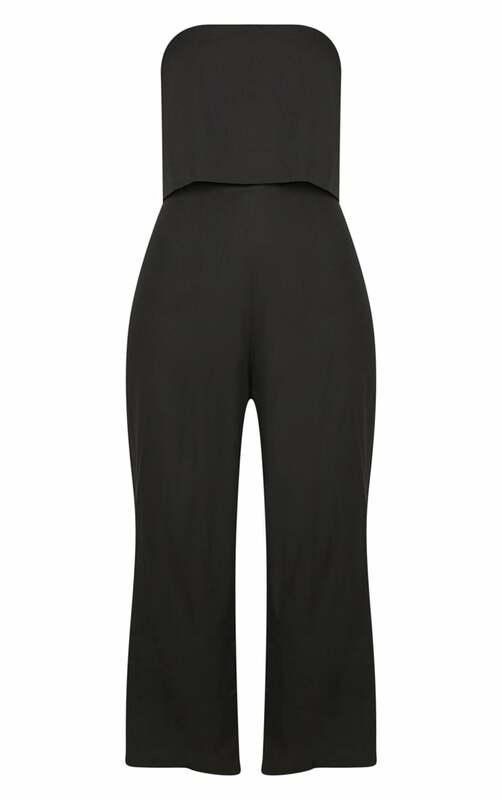 Ensure you're occasion ready in this stunning jumpsuit. Featuring a black fabric with a flattering fold-over bandeau neckline and wide leg culotte fit, what's not to love about this jumpsuit? Team with your highest gold heels and a gold clutch for a weekend worthy look.